From Products to Experiences – And Why You are Part of the Customer Experience! Understanding the Agile PLM System: What Happens Inside that Black Box? ROI – Are technical writers an endangered species? So, you’ve created some great documentation! But what happens when your users throw the manual away in their haste? No big deal, most user manuals can be found online! Can yours? Google has taken an increasingly energetic approach to answering a searcher’s question directly on the results page. Sometimes that process includes a site’s URL, sometimes it doesn’t. When one of your users is searching for your documentation, is Google showcasing your content? When it does is it using your URL? Hard to believe they wouldn’t, right? Believe it! If you’re not optimizing your documentation and its hosting page properly, even queries that mention a brand by name can produce featured content for a “foreign site” – as it does here. 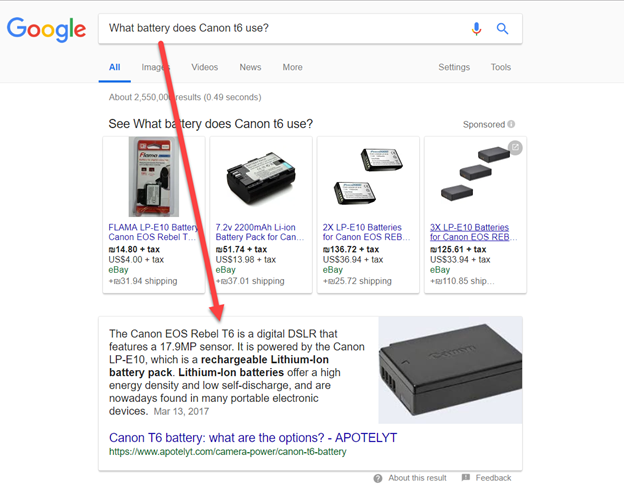 Learn what Google is doing when it comes to featuring content directly on the results page, why it does as such, and what you need to do to ensure your documentation is what Google users are seeing!